Lodging for a Great Yosemite Vacation! 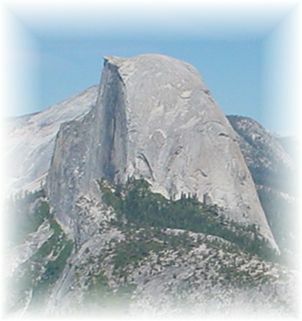 This is the most accurate information that we are able to provide for you concerning the installation and removal dates of the cables that provide access to the top of Half Dome. "The typical or target dates for the cables are to have them up for Memorial Weekend and to have them taken down immediately following Columbus Day. So, in theory, the cables go up by Friday of Memorial Weekend and come down on Tuesday after Columbus Day. The dates are approximate and can vary based on conditions and on availability of the trail crew (they have other projects they work on and the timing doesn't always work out perfectly). October 15th is the date by which the park is generally prepared for winter--that's also the date after which overnight parking is no longer permitted on the Tioga or Glacier Point Roads." Call 209-372-0200 for current Yosemite Road/Weather Conditions! Copyright © 1989-2013 [Yosemite Places In Paradise]. All rights reserved.